We are leading manufacturer and supplier of Paper Chemicals. We are the leading enterprises of this domain, involved in providing the best quality Paper Chemicals. Provided chemicals are formulated using top quality chemical compounds with the help of innovative processing techniques under favourable conditions. These chemicals are used as reagents to modify the property of papers. 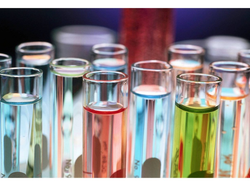 In addition, our patrons can easily buy these chemicals from us in various packaging options.